God knows how deeply in love I am with this product. 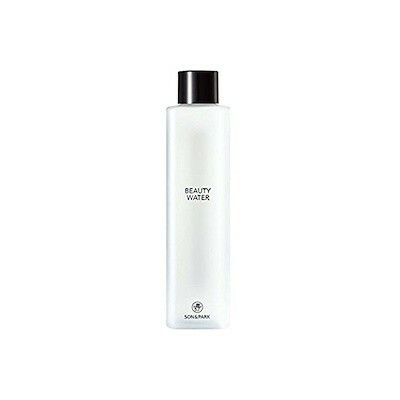 Work amazing as toner as makeup remover and even as makeup prep. As it contains more than 90% of natural ingredients (coconut, corn, potato, and wheat for cleansing, Lavender, Rosa Damascena and Orange Fruit Extracts for intense hydration, and Protease and Papaya for lightly exfoliating.). It is undeniably refreshes your skin after every wipe. Put it in spray bottle and use it as pre makeup mist, you will get that dewy glow base without that oily sticky feeling. It is amazing!! I ordered the small one just to try it because I have heard so many good things about this product. The first time I used it, my skin is glowing. I have a sensitive to combination skin, but this product it lessen my acne. It doesn't irritate my skin and It smells nice. This product makes my skin smooth and very fresh. I will recommend this product!! Its worth the price. This has been a super popular toner and I was really curious about it so I went and bought one! I love the natural scent it has from the ingredients it contains, but the only down side for me is that I could really smell the alcohol content of it. However I still like it! I love how much of a multi-tasker this can be, as a cleansing water and toner. Tried this product and my skin teallt likes it, works its purpose and my skin feels and absorbs better. My skin feels clean yet hydrated. Not heavy, watery and is easily absorbed on the skin, not sticky at all. The packaging is also a plus. I hate to try products that are overrated but honestly Its worth the hype. Love it and thinking of repurchasing. I've been loving this beauty water. I use this as a toner and make up remover. It moisturizes skin and also cleans skin thoroughly. I super loved it! The price is worth the hype! Also, it comes with a travel or trial size, so it gives you the efficacy to try or be handy with it. I highly recommend this product!